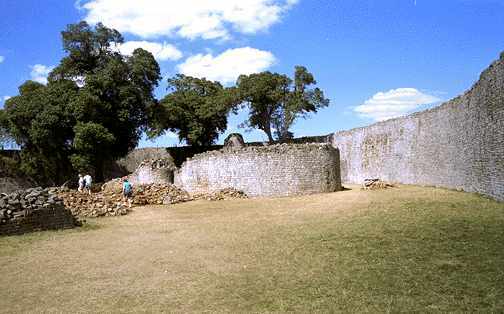 The ruins of monuments and cities built of stone are located in the south central African nation of Zimbabwe. These buildings extend a radius of 100 to 200 miles and have been built by southern Africans about 600-1,000 years ago. The stone walls, up to 20 feet thick and 36 feet high, are built of granite blocks without the use of mortar.